PREBLE COUNTY — David Ramsey, who had been under indictment for aggravated murder in Preble County, died last week, according to Preble County Prosecuting Attorney Marty Votel. 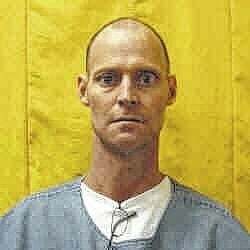 At the time of his death, Ramsey was in the custody of the Ohio Department of Rehabilitation and Corrections, serving time for gross abuse of a corpse and tampering with evidence. Ramsey was indicted in June 2014 in the death of William Pike. Pike’s body was discovered on Forney Road in Montgomery County wrapped in a carpet remnant, with the cause of death later being determined as two shotgun wounds to the chest. The investigation into the crime led authorities to Preble County, and Ramsey was later charged with aggravated murder, gross abuse of a corpse, and tampering with evidence. By the time of his initial incarceration, Ramsey had been diagnosed with small cell lung cancer, according to Votel. As he continued to receive medical treatment, his trial was continued several times at the request of his attorney. His most recent trial date, June 8,”was continued at the request of his attorney based upon the contention that the defendant’s health had deteriorated and that he was not well enough to endure the rigors of a lengthy trial,” Votel noted. The PC Prosecutor’s Office, which had been monitoring the defendant’s state of health closely, did not object to the motion, Votel said. Near the time of trial, the defendant entered pleas of guilty to the charges of gross abuse of a corpse tampering with evidence and he was sentenced on those two charges to three years in prison. The remaining charge of aggravated murder was continued until Oct. 19. “Upon receipt of a certified death certificate, the State of Ohio will be filing a Suggestion of Death and Motion to Dismiss in the Preble County Court of Common Pleas. The remaining charge pending against the defendant will be dismissed and the trial date will be vacated,” Votel announced last week.